A few days in the mountains. Glimpses from the train through the drizzling mist indicate spectacular scenery as the train winds its way upward through forests and alongside clear streams. Snow is still on the ground. 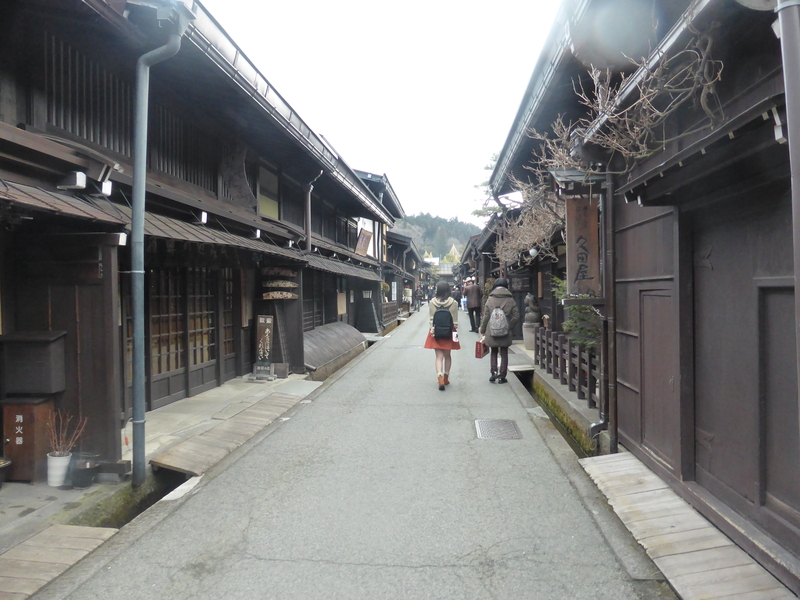 The preserved streets of the old centre are busy with Japanese tourists even in this weather. I imagine the crush of summer. 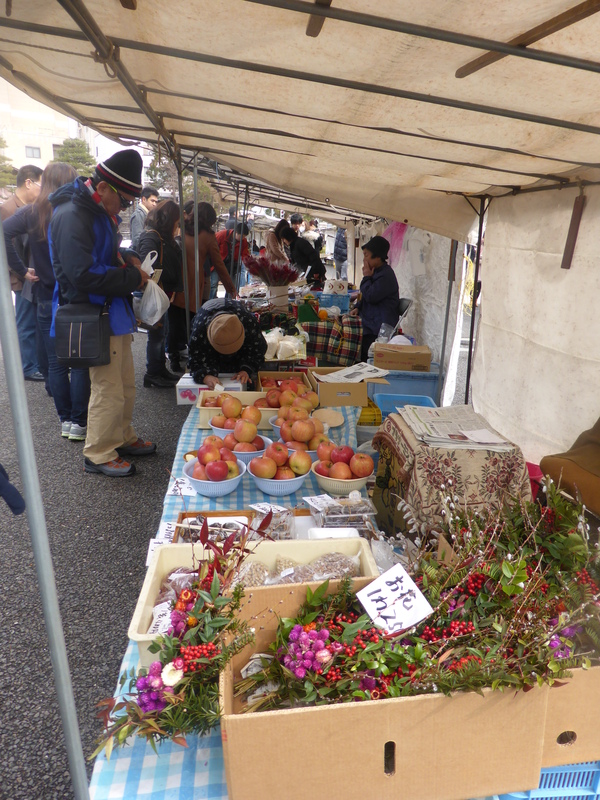 Like all tourist area, it has a huge range of foods and confections for sale. 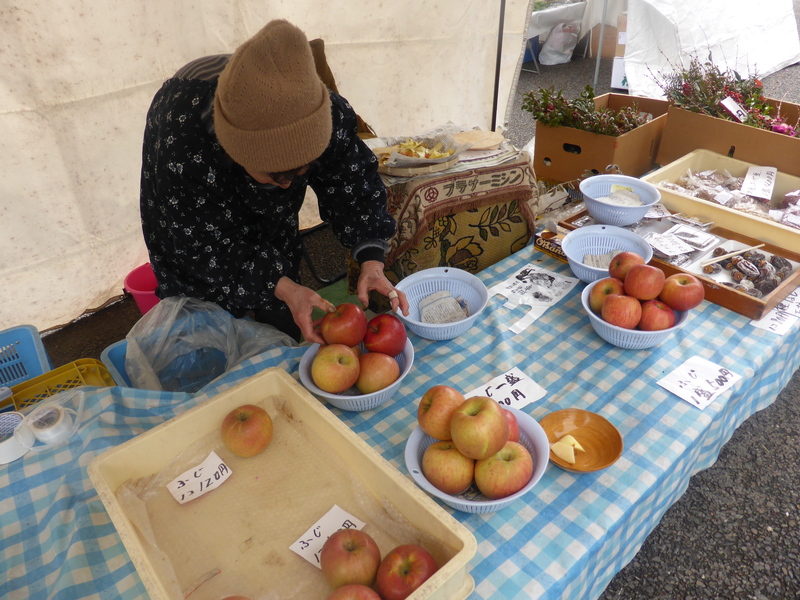 The local Hida Beef is especially famous. we however, as well as more delicious udon had the only non- Japanese meal of the trip here – Japanese pizza. 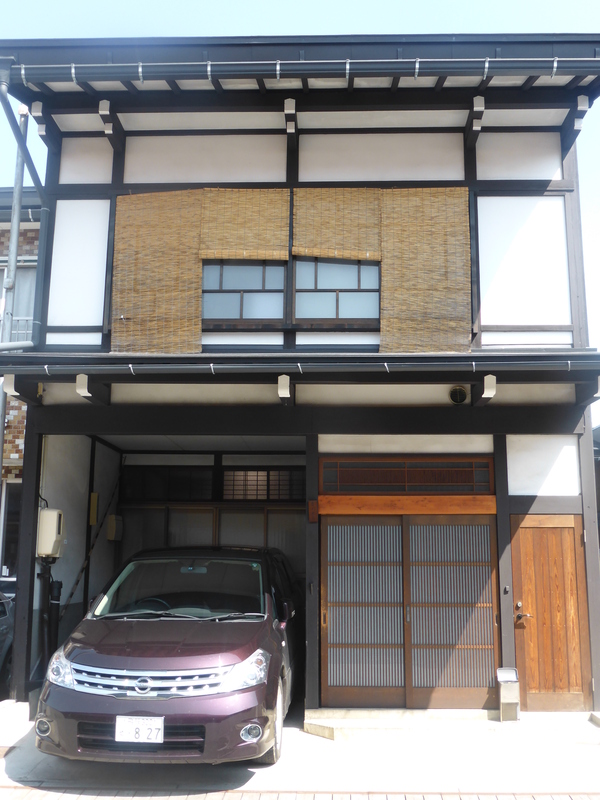 The preserved wooden house/shop lined street convey all the charm and simple elegance I associate with traditional architecture. 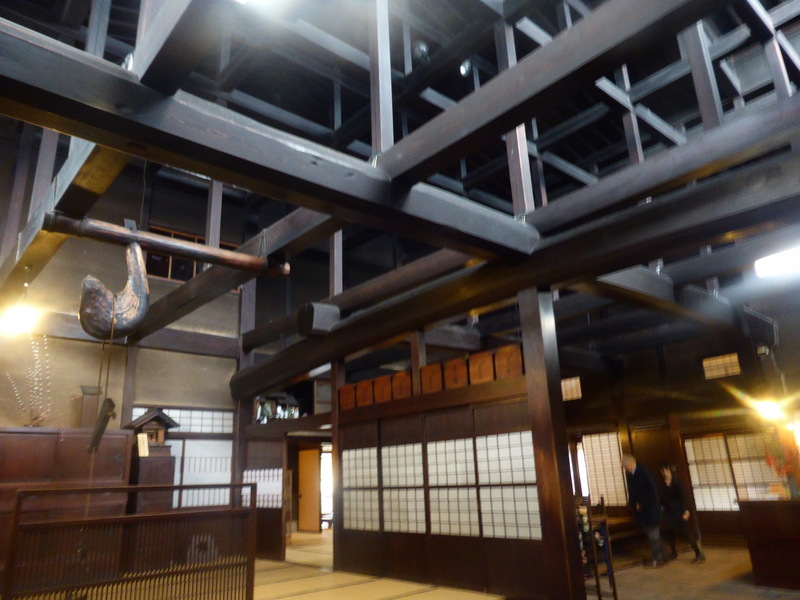 An overall two-story design with stairwells, all made of Japanese Cypress (Hinoki). Exposed heavy beams and pillars. 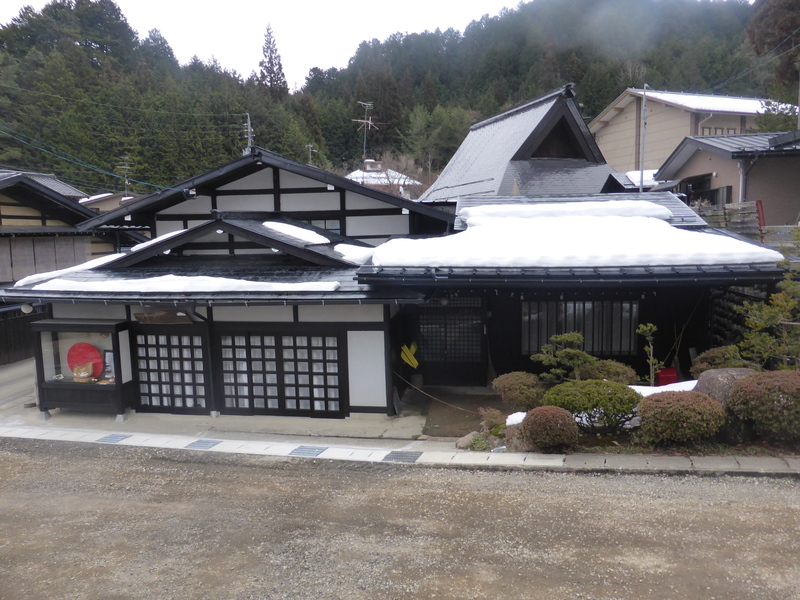 A gently slanting roof with moderate eaves. Slender latticework on the windows. A dark brown paint finish made from soot. Was it Roosevelt who they say, offered to buy this house? 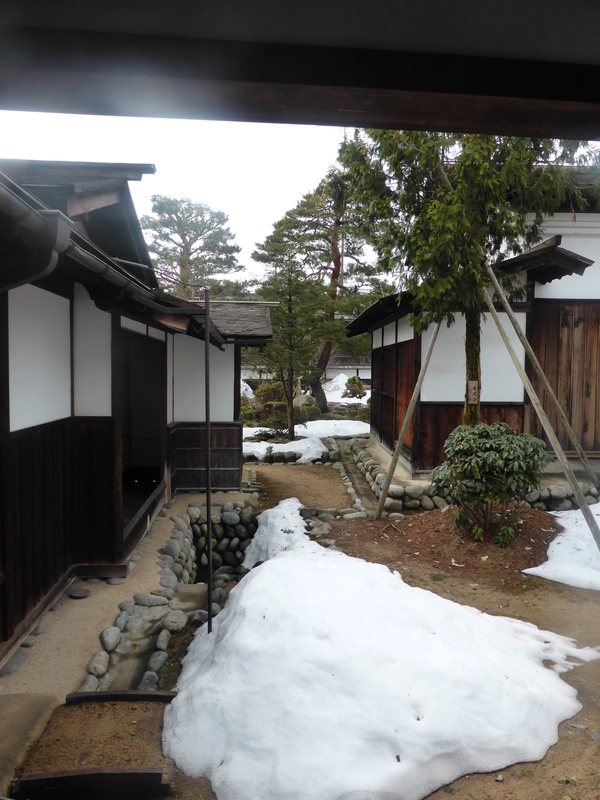 At the Kusakabe Heritage House, our little one met up with a racoon. 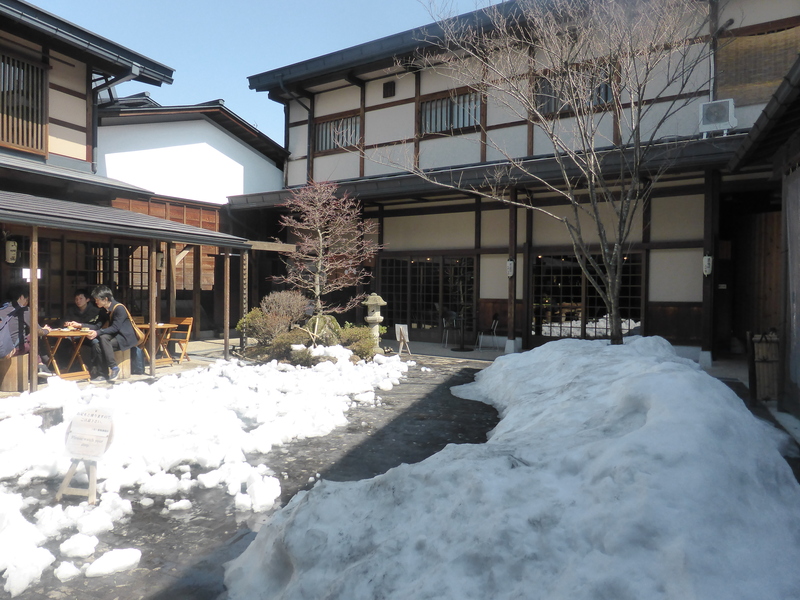 The hotel, Takayama Ouan, is one of the few high-rise buildings at the edge of the old town. 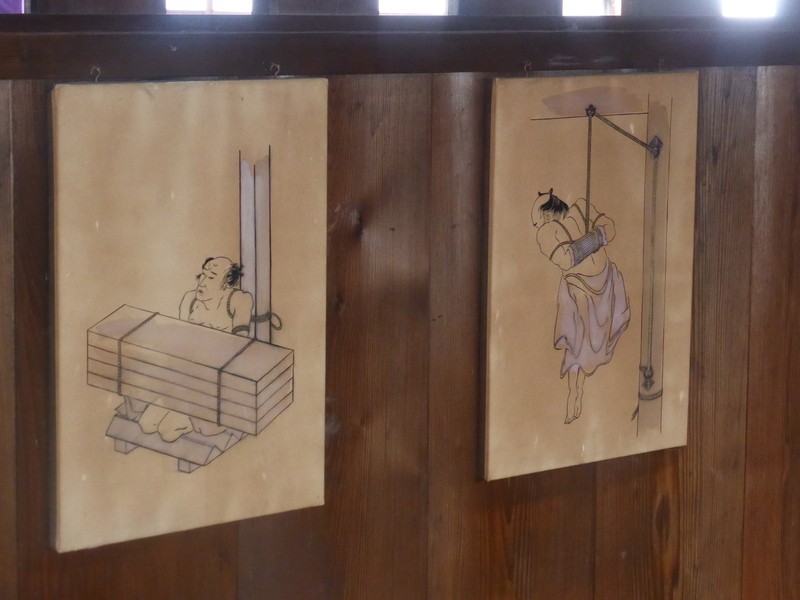 It has an onsen (traditional hot bath) on the top (13th) floor. 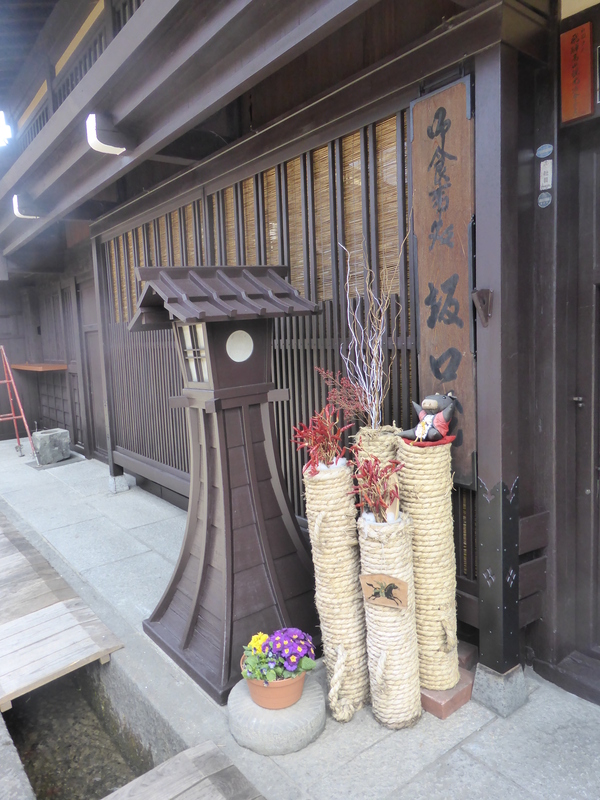 The hotel blends western and ryokan elements with tatami (straw) mats throughout so shoes are left in lobby lockers. 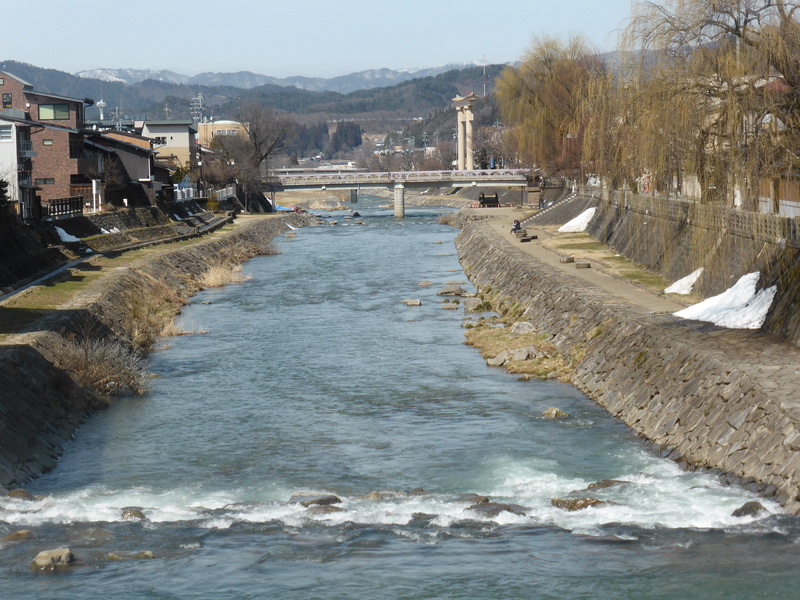 The hot spring bath affords a view of the town and the mountains that surround it. There are separate baths for men and women as well as three private baths that can be used for 30 minutes on a first come, first served basis. Bliss. Older women sell hand made good luck monkeys, pickles and apples displayed simply and minimally at the morning market. 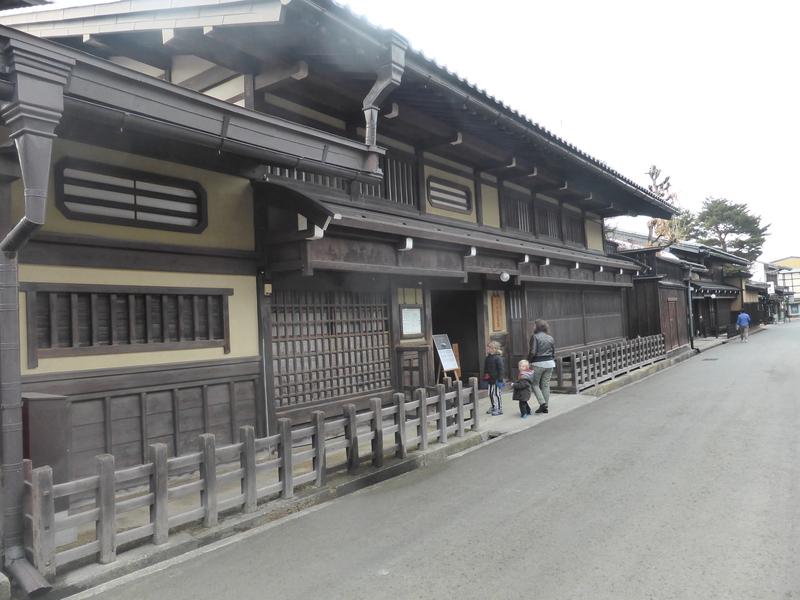 Then it is on to wander the streets of seventeenth century wooden houses. Modern touches abound…not a surprise really! 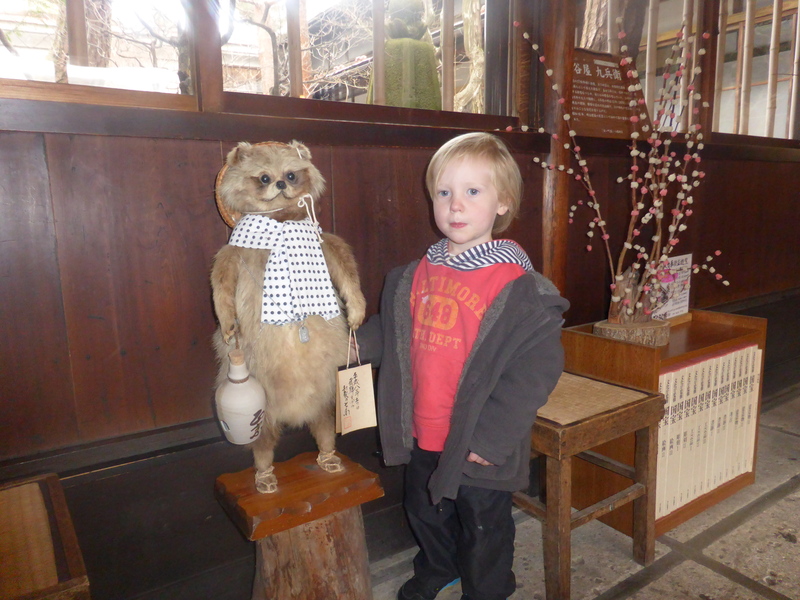 We are travelling with 2 littlies so it is time to focus on what they might like….a teddy bear museum. 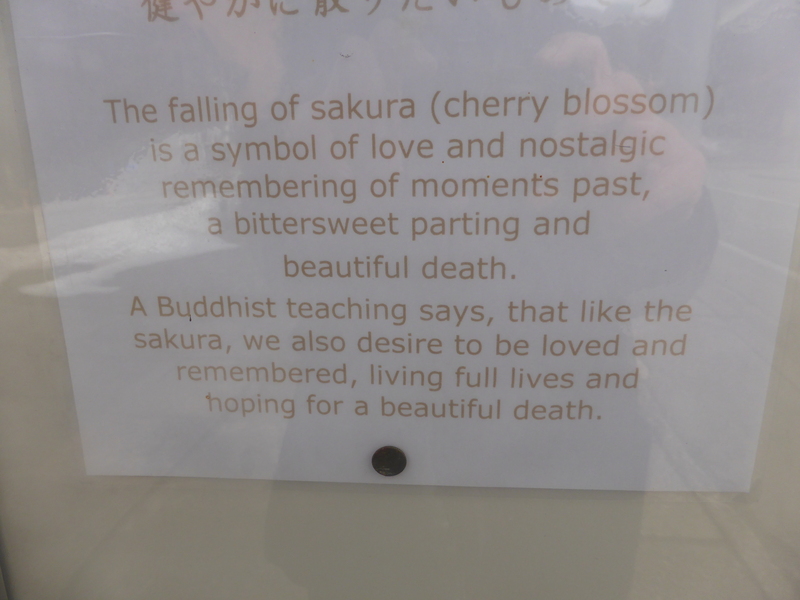 Yep, living kitsch but luckily it is a short walk from a supposedly, most splendid museum – the Hida Takayama Museum of Art. Michelin has apparently given 2 stars for its collection of Art Deco and Nouveau items but alas all we could see were in the museum shop which was open briefly after closing hours.